Last July, after spending my entire life within five miles of the Pacific Ocean, my family relocated to Chicago. The city is amazing. We love our home, the friends we have made, the restaurants, the nightlife, etc., etc., etc. But, there is one big thing missing – there is not an ocean for miles. Yes, there is a lake. A great, big lake. But, it just doesn’t do it for me. Its not the same. There is no ocean breeze. There is no smell of salt and sand. And, there are no real waves. So, this year for spring break we are heading to an island. I cannot wait to sink my toes into real sand, on a real beach. I have been daydreaming about it all winter. All of my daydreaming about beaches and our beach vacation has me thinking about beach houses. 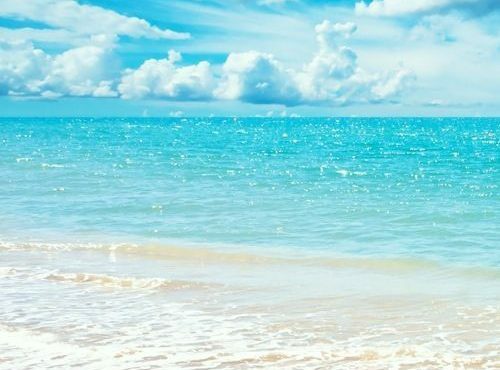 In my opinion, there is nothing more beautiful than an ocean view. When there is a beach outside your window, you don’t need anything else. The view is the focal point; it is the art, it provides the color palette, and the last thing you want to do is compete with the natural beauty right outside your window. 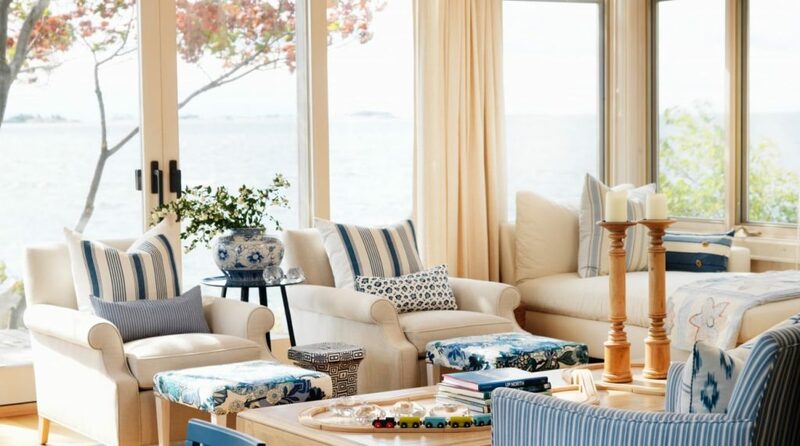 I think there is a certain amount of restraint required to decorate a beach house well. Here are some examples. 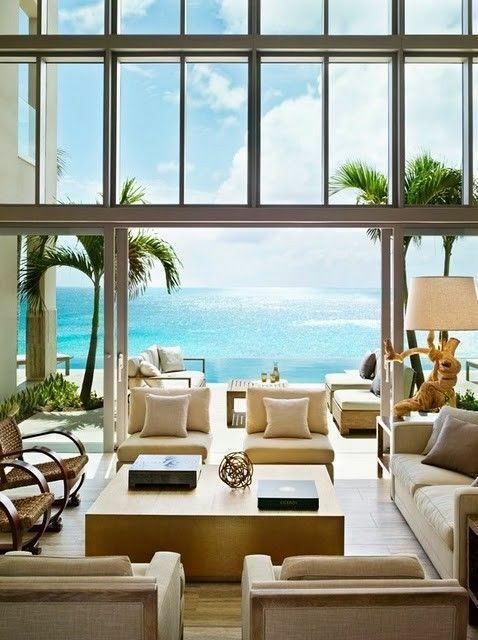 One of the best things about having a home by the beach is that the location does not dictate the style of the interiors. In the dining room, living room and bedroom images above contemporary and more traditional styles work equally well. One thing that makes each of the rooms appealing is the neutral color scheme. 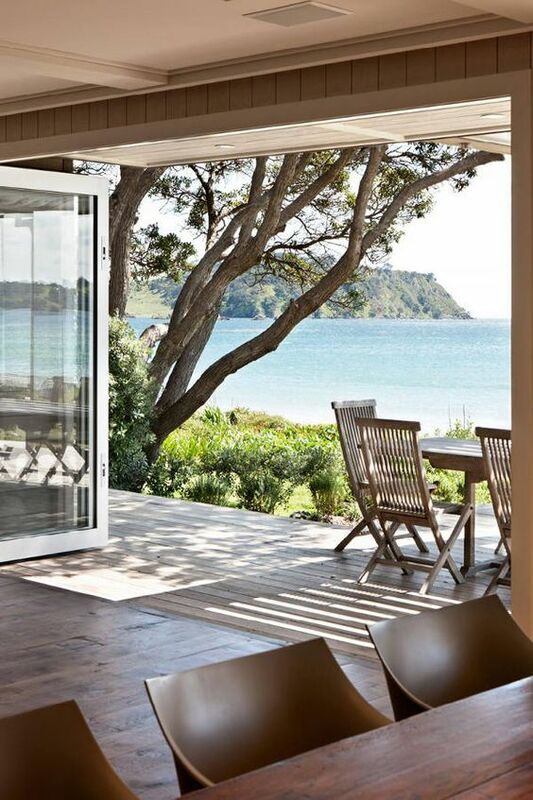 Contemporary, traditional, or anything in between – the most critical part of decorating a beach house is NOT competing with the natural beauty that surrounds you. Another thing that makes the spaces appealing (to me) is that they are not kitschy. There is not an anchor, sea shell or driftwood sign in sight. While many are indoor/outdoor spaces, the lack of kitsch helps the rooms feel sophisticated. Finally, each of the designers have incorporated texture to create interest. The use, for example, of sisal rugs, distressed floors and tables, and wooden candlesticks and lamps creates interest and warmth without adding unnecessary color to the spaces. One more week until spring break . . . I can almost feel the sand beneath my feet. 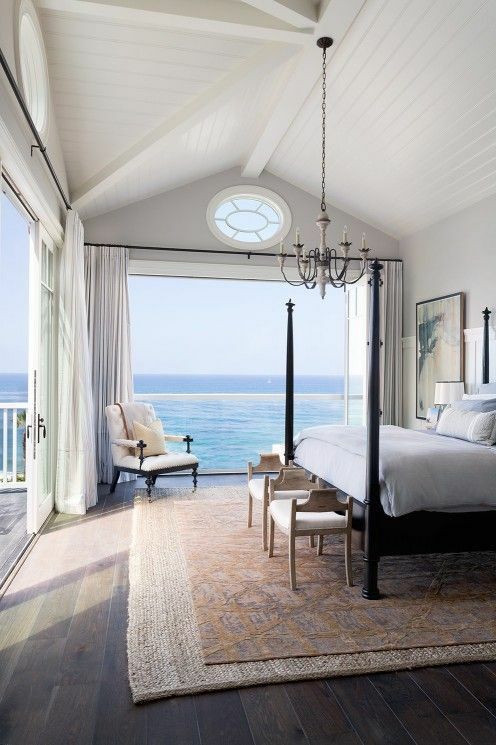 Until then, I’ll keep daydreaming about the perfect beach house.